While one of us at Arrow Maker Ranch is an experienced rider, neither of us have the talent nor ability to train horses in much more than basic groundwork. We first met Krista Koenig back in 2008 and really liked her approach to working with a horse, instead of forcing it into a frame and timeline demanded by many association trainers, Krista comes from a background of many different breeds and she is always trying to learn more and better ways of training. Somewhere along the way, her now husband, Dave Kneller, showed up in the picture. Dave is a former bull rider and Texas cutter. Together they have started From Start to Foundation under the pretense that a horse's training is never finished. 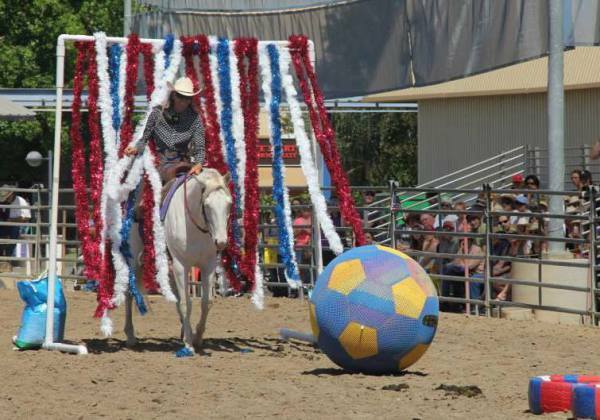 Both Krista and Dave recognize that every discipline has something to offer and add to a trainer's box of techniques and tricks, and each horse is different. They both work with a horse to try to figure out how best the horse learns and retains. We chose this gentle approach for our stallion, Zeus, who was rather slow to mature. He was not physically ready for light riding until 3 years old, due to his old ranch and foundation pedigree. Dave and Krista recognized this and worked with him on other groundwork to prepare him for a rider. 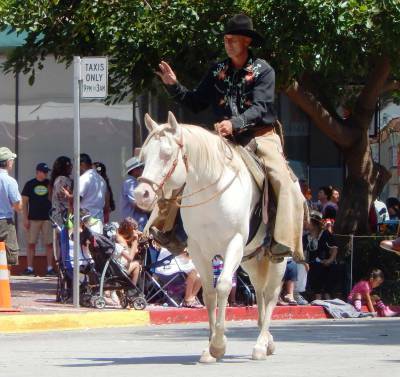 Since starting with Zeus as a yearling, Krista and Dave have taken him all over California, from competitions, to the beach, or to the local parades. Their preparation has made Zeus the go-to for anything requiring a calm head with no surprises when you get in the saddle, maybe even to a fault as Zeus usually needs to be woken up before going anywhere. We chose Tye MacDonald to introduce Zeus to cattle, also because of his gentle approach to working with a horse. Unfortnately for us, Tye moved back to Montana only a few months after his first 30 days with Zeus. And, while Zeus was doing well, he still had a long way to go before making a go of it in any AQHA shows. If you ever find yourself in need of a trainer up in Montana, I highly recommend MacDonald Performance Training . Casey was recommended to us through a mutual acquaintance and although he doesn't train horses professionally, he absolutely could. The timing turned out perfect as Casey's main rope horse happened to be out of commission for half a year, so Zeus ended up being his substitute. 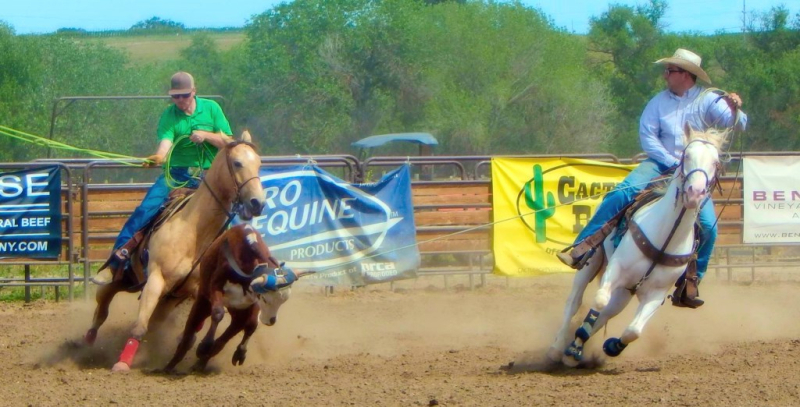 Casey is a very active member of the American Cowboy Team Roping Association (ACTRA), one of the only associations in the local area with plenty of competition opportunities. 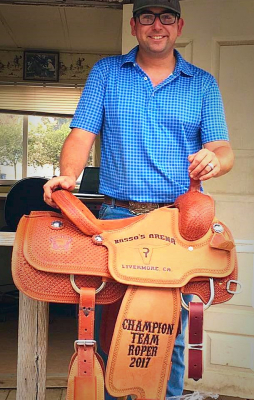 He has won too many saddles and buckles to count and a fair amount of winnings, including this year's 2017 ACTRA California Region 3 High Point Saddle (with Zeus's assistance, of course). Casey enjoys the journey with a young horse, taking it from the basics to finished roper. He is sponsored by Cowboy Cordage and we fully endorse Casey as well, should he ever want to take his talent full time.